MCR Safety offers a wide variety of products and accessories to assist in the care, maintenance, and display of your safety products. Display your favorite or best selling gloves for everyone to see!. The 8HCD is an 8 peg hanging counter display used for strategic placement of gloves. Request Ninja, ForceFlex, or MCR Safety header cards. 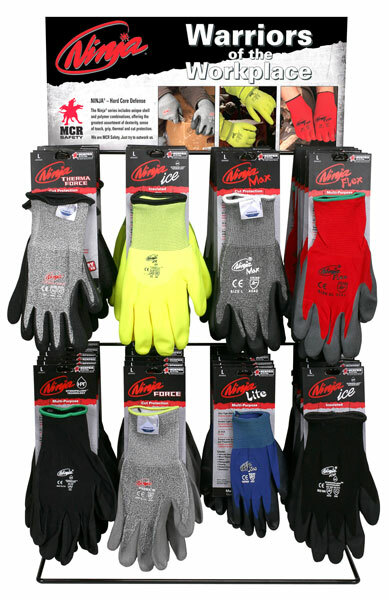 Trust MCR Safety for your glove accessories!